Airbus A380 | Vishal Mehra and Co.
On Friday, 30th of May 2014, New Delhi’s Terminal 3 became the first airport in India to officially welcome daily scheduled operations of the world’s largest passenger aircraft, the Airbus A380. 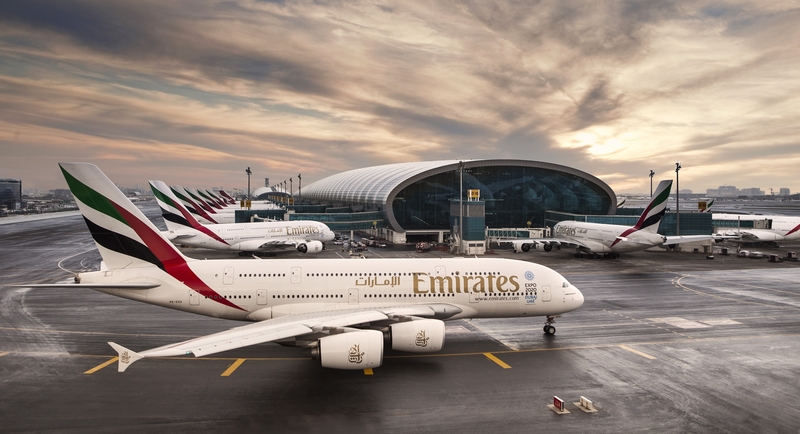 Although T3 has received an Emirates A380 in 2010, that was just a one-off flight to celebrate opening of the terminal. As part of their celebrations, the Delhi International Airport Limited (DIAL) had invited me to be a part of this historic occasion. It was an overall interesting experience (minus the hardships endured to enter initially, that’s a story for another post). It was also nice to catch up with Marcel Hungerbuehler, the COO of DIAL. One of the interesting things Marcel mentioned was that he does not see Emirates operating a A380 to Delhi in the near future, though he was quite confident of welcoming Lufthansa’s A380 to/from Frankfurt in the coming winter schedule. I also had a chat with Karma Paljor, from CNN-IBN about the A380 itself during the event and you can watch a clip from that interview on the link below. If you are keen to check out first landing videos and photographs of the SuperJumbo, I highly recommend Bangalore Aviation’s coverage here. 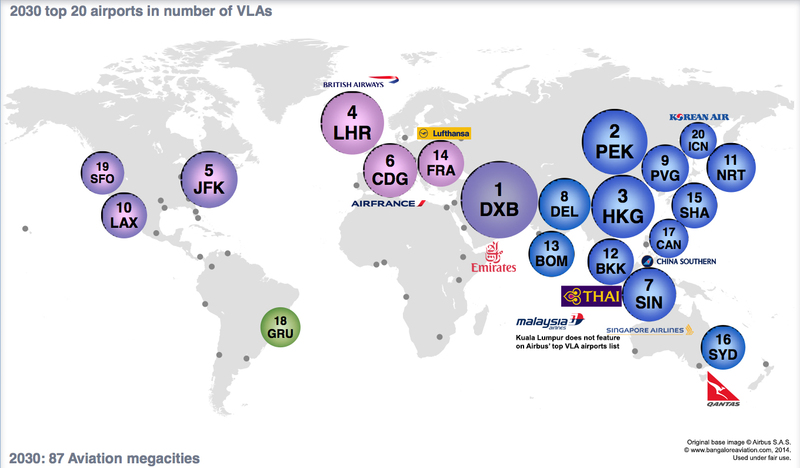 Related Post: Which Airlines will fly their Airbus A380s in to India? Which Airlines will fly their Airbus A380s in to India? Last week, the Indian aviation community was abuzz with the news that the government had finally permitted operations of the Airbus A380 in to India. 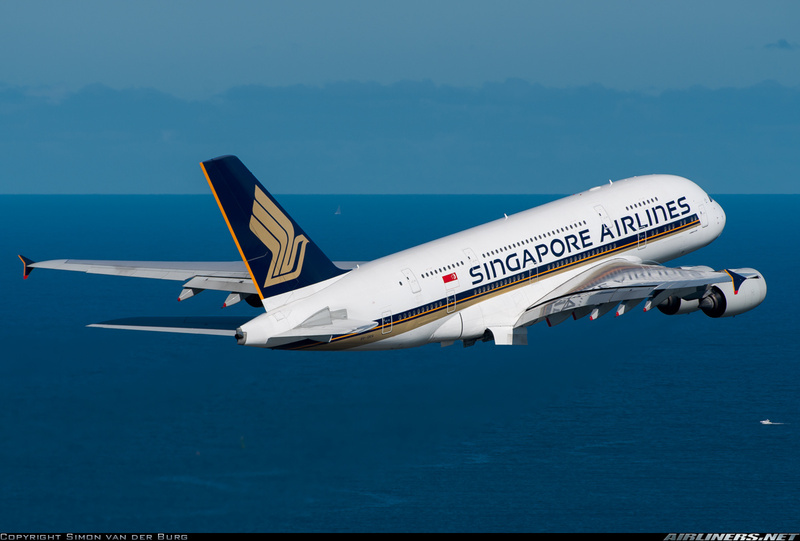 In its announcement, the ministry mentioned Singapore Airlines, Lufthansa, and Emirates as potential candidates in operating the aircraft to India, but there are seven other present operators of the giant, all of whom, with the exception of Qantas Airways, operate to India. Three of the Five near future A380 operators, Qatar Airways, Etihad Airways and Asiana also operate to India. Before we proceed, it is important to realise the sheer size of the A380. 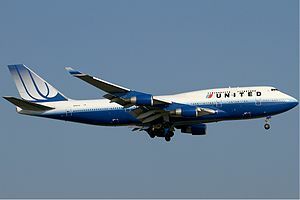 The aircraft is classified as a VLA (very large aircraft) which includes the venerable Boeing 747 jumbo-jet. While Airbus shows the typical seating of A380 at 555 seats in a three-class configuration, most airlines have configured their aircraft from a low 407 seats at Korean Air to a maximum of 526 at Lufthansa. 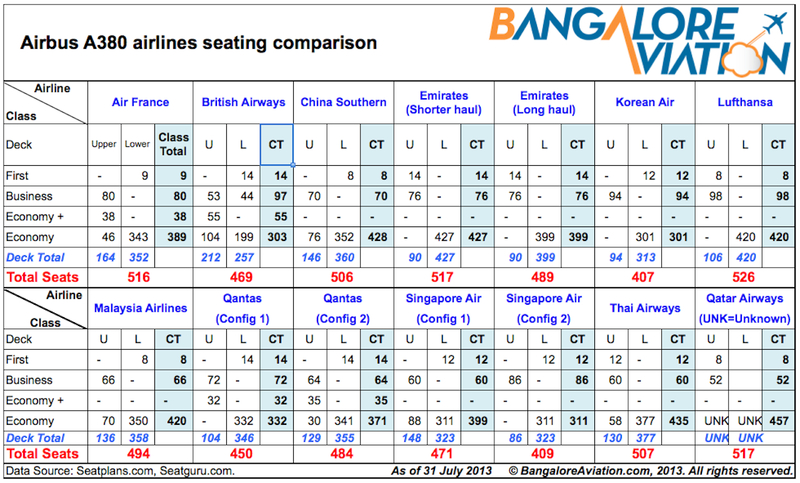 The info-graphic on the right shows the various cabin configurations of the A380 operators. The size of the aircraft makes it a challenge for any airline to fill. Air France, focuses its bigger aircraft on north American and far east routes. It only operates its mid-sized A330s to India. Malaysia Airlines and Thai Airways focus their A380s in slot constrained high volume airports like London Heathrow, Paris Charles De Gaulle, and Frankfurt. China Southern, Korean Air, and Asiana have insufficient traffic rights to India and focus their VLAs on north American and European destinations. British Airways (BA) is the most understated, yet most exciting prospect of bringing A380 to India. The whole universe conspires to make the mechanics work on the routes for BA. The stage lengths of about eight to ten hours are just right. India is an important destination for the airline, and it is demonstrating this by flying its latest aircraft, the Boeing 787 Dreamliner to Hyderabad starting March. London is one of the most visited cities by Indians, not to mention the large Indian origin diaspora living in the United Kingdom, and Heathrow is the A380 capital of the world with virtually every airline flying its A380 to it. Despite a short-sighted transit immigrant visa requirement and ridiculous air passenger fees, Heathrow is a major transit point for passengers between India and North America. While Mumbai gets the newer 777-300ER featuring the airline’s updated cabin product, New Delhi lags behind having to make do with older 747-400s and 777-200s. 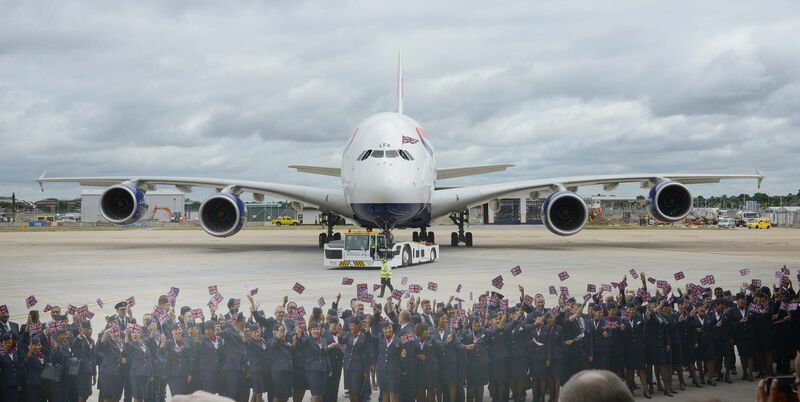 The intelligent fleet deployment of British Airways must be noted. During the summers, BA deploys its larger aircraft across the Atlantic catering to massive Trans-Atlantic tourist traffic, while winters sees these aircraft in traditional “home coming” destinations in South Asia, China, and ASEAN. 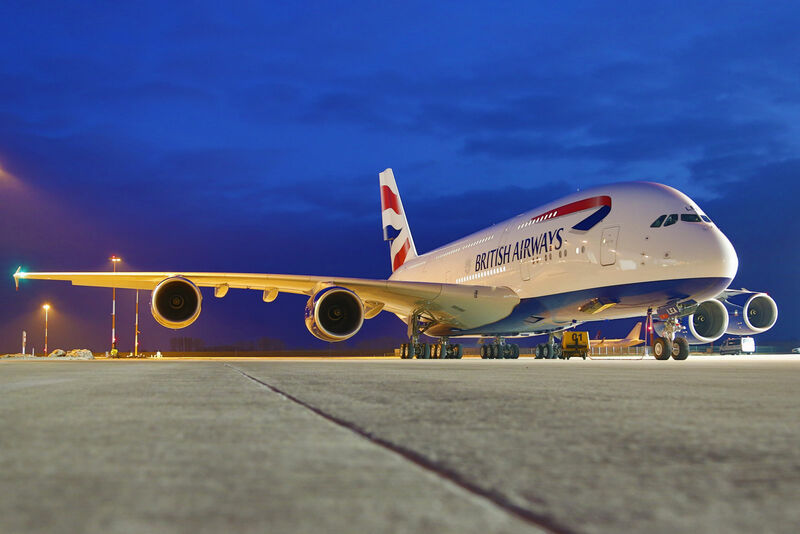 we are fairly confident of seeing a Union Jack liveried A380 at New Delhi in 2015, if not in the winter schedule. Emirates has suffered an image of inconsistent cabin product on its India flights, and the A380 will allow the airline to repair this perception. With over 44 A380s already in its fleet it is all but certain, the airline will commence an A380 service to both Mumbai and New Delhi. However, since the existing bi-lateral air services agreement (ASA) cap being long exhausted, Emirates will have to consolidate its flights to accommodate the large behemoth. We expect EK to steal the thunder and be the first to operate an A380 to India. The carrier operates an A330-300 featuring its new business class product (which is not on its A380) to both Mumbai and Delhi, with Chennai starting in March 2014. The 747-8i to Delhi also has the new business class and the new first class product (which is also on their A380), while the 747-400 to Mumbai is two generations behind, which as per few trip reports on Flyer Talk, does not even have personal IFE screens in Economy, is a sure shot recipe for customer dissatisfaction, especially on Intercontinental routes. 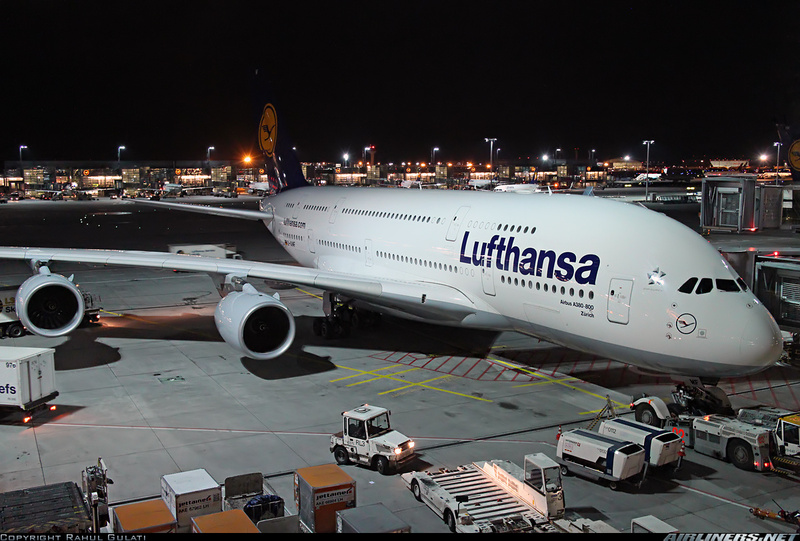 We expect Lufthansa to operate one A380 to India. It may upgrade Delhi to an A380 and move the 747-8i to replace the 747-400 at Mumbai, or it might directly upgrade Mumbai to an A380. The Indo-German bi-lateral ASA has to be amended to include the A380. It’s an interesting possibility, one that the industry, especially Lufthansa’s MEB3 friends will be watching closely. The dilemma the airline faces is that its current A380 fleet is fully deployed. The additional five orders are relatively recent and delivery is not expected any time soon. The airline will have to sacrifice one flight from another destination to service India in the short-term, or may choose to deploy A380s later. Honest Disclaimer: It may be very hard to better or even equalise the sheer content quality of this chat. So my dear Aviation Geeks, sit back, get a drink and start reading the goodness of the best ever “GlobeTrotters on Twitter”. Few days back on Twitter I was mulling how to go ahead with this piece, whether I should keep these three great geeks together and risk publishing a large, not-for-everyone piece or divide it in various ways to make it palatable for people at-large. I have clearly gone ahead with the correct and sensible option of keeping these men together, as they belong and are known in the world of Aviation Geeks. The length of this piece might turn some readers off but the quality is deliciously good and I’m proud of this one. Considering all 3 are busy professionals and taking out time from them wasn’t the easiest thing in the world, but their graciousness made this happen. 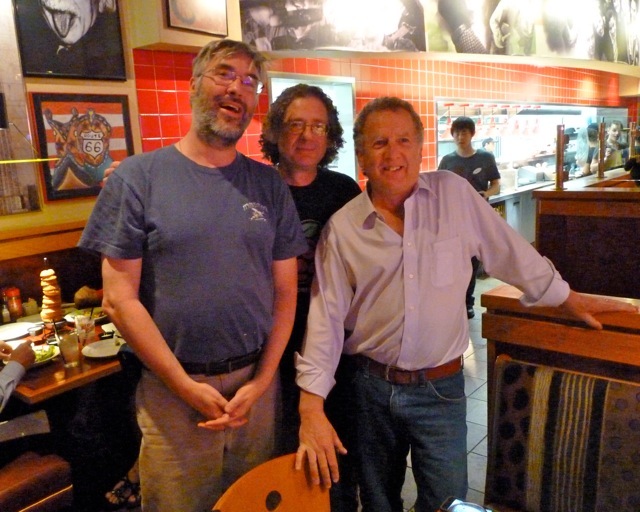 If you’re an #AvGeek, you know Max Flight, Rob Mark and David Vanderhoof. Together they host the best aviation podcast, bar none, every week. And to think they have done this for over 269 weeks now, is quite an achievement. Max has been in the aviation industry for over 30 years now, Engines are his area of expertise and he takes the mantle of moderating the weekly Airplane Geeks podcast. Max is also the brain behind “Thirty Thousand Feet”, one of the world’s biggest aviation resources, with over 20000 links to different facets of aviation, including commercial, business, military and general aviation. Rob is a 35 year veteran in the aviation industry, and being a commercial pilot has flown everything from an Aeronca Champ to the humongous Airbus A380 and everything in-between, logging in more than 7000 hours. He is also the CEO of CommAvia, an aviation focused marcom consultancy. He is the editor of award winning JetWhine blog, and has contributed to leading publications like Forbes, Aviation International News and Business Jet Traveler besides his appearances on CNN, NBC, CBS, PBS and WGN. With his dad in air force, David grew up around aircraft by default and has since never stopped looking up. He is a graduate in Military history and diplomacy, and his expertise clearly reflects in his thoughts and segments on the podcast. He “code-shares” with the Australian desk of the show, known as Plane Crazy Down Under, for their podcast as well. David blogs regularly at “What Just Flew By”. David and Max also host a weekly podcast dedicated to unmanned aerial vehicles (drones) and systems, called The UAV Digest. Gentlemen what motivates all of you to travel? And to climb on those planes. Max – Most of my air travel has been business travel, so it really hasn’t been an option. But that works well because I love the adventure of flight. Airports fascinate me, especially large airports, because they are like self-contained cities. The actual flight is magic, with views of the world that are spectacular. And then there is the destination – seeing a place and people that are unlike what you find at home. Rob – I travel 75% for business and 25% for pleasure. Pleasure might go up a bit though, now that I have a daughter at college in California. I’m based in Chicago. David – Usually it’s to escape, to get away from the day-to-day reality. Personally the fascination is FLYING and Airplanes, enough said! It’s not a hassle if you prepare in advance, and do what is expected of you. Do you enjoy the aviation/flying part of your travels or the sightseeing in cities? Any unforgettable occurrence during flight? flight could possibly break the record for shortest flight time between the two cities. United gave permission to burn a little extra fuel and Air Traffic Control gave us top priority so we came straight in on a direct approach. We did break the record at 8 hours flat and the passengers all cheered on arrival. What a great last flight for that Captain! Rob – In general, I like the flying part of travel, probably because I think I have a pretty good idea of what’s happening from the moment we push back from the gate. My old seat used to be in the cockpit and now I’m in the cabin … ah well. At least I get to fly. But as I mentioned with the JetBlue video, the hassles of getting to my seat and waiting for the airplane to push back are a real pain here in the states. I try to ignore the bad parts and focus on what I can see out the windows. I really hate it when the guy at the window seat pulls down the shade. A memorable experience? That’s a tough one, except perhaps one of my first airline trips as a kid. An American Airlines Boeing 707 Astroliner from ORD to JFK (Actually it was Idlewild airport back then). I still remember the feeling of being pushed back in my seat when they shoved the throttler forward. I always like that part, especially years later when it was I pushing the throttles ahead. David – I have always said the best IFE is the window next to you! It is both. I hope in my lifetime neither looses the wonder. We know most American airlines are nowhere near their glory days but if you guys still had to choose, which would be your favourite airline? Max – United is a favourite airline for sentimental reasons. In business, they have been a great customer of the company I worked for. In fact, our corporate histories are intertwined, so that helps make them a favourite. I have more miles on United than any other airline. But also I used to love their nuts. Heated nuts in little ceramic cups. Seriously, I looked forward to those nuts. Rob – I’d have to say Southwest when I’m flying here in the U.S. If I must travel outside the U.S., I’ve been choosing American for 25 years because the only other option out of ORD is really United. I cannot stand flying United. Something always seems to go wrong on the trip for me with that airline. Maybe it’s just bad luck. have silver and orange. Pan Am was simple but classy. Eastern Airlines used to have the Falcon. I could go on and on. Emirates respects their brand by putting it on the bottom of the aircraft? Really? I won’t go into my thoughts on the new American branding. I like QATAR, its understated and great colours. However if you want to get my attention put an aircraft in a retro scheme. So Max likes United but Rob can’t stand them. What about your favourite airports? Max – Singapore Changi Airport is beautiful with more orchids than you can imagine. Rob – Might sound crazy, but my favourite airport is the one that has a gate close to the one I get off the airplane from … when I must connect, something I try to avoid at all costs these days. Too much stress when an airplane is late and the people 20 rows ahead will never let people out first that are trying to connect. David – Can I say the one I am at? Why would you complain you’re at an airport? I have been waiting to ask this to you guys for the longest time. Tell us your favourite aircraft and why? 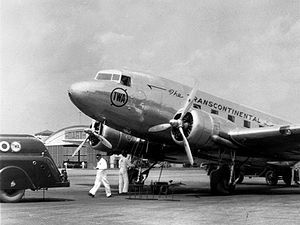 Max – The Lockheed Constellation was the first commercial aircraft I have a memory of as a child. I remember riding in the car one day past the Columbus, Ohio airport and seeing this beautiful, graceful plane with not one but three tails! It’s always been my favourite plane. Rob – I’m assuming you’re after my favourite airliner, not airplane in general, because my favourite machine overall is still Dassault’s Falcon 7X. Airliner, that’s another interesting question. I’d have to say the airliner would be an A380. I had a chance to fly one for a few hours when I was in France and I think I’m still awed by how easy it was to hand-fly an airplane that weighed in at over a million pounds. 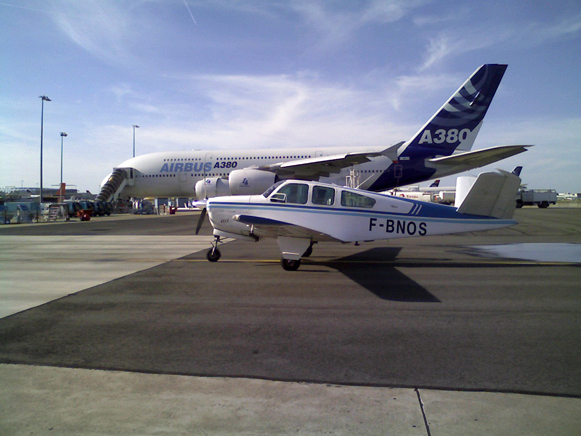 My friend’s Bonanza when he picked me up at Toulouse just after the flight. David – So anyone who has ever read my blog or listened to the podcast knows its the C-130 Hercules but (pauses) If I have to name an airliner it is of course the aircraft the C-130 was designed to replace, the Douglas DC-3/ C-47. The DST Douglas Sleeper Transport opened the world. 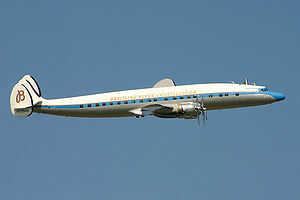 The modern airline industry is because the DC-3 made airline flight practical. Which is your most favourite city while traveling, any remarkable experience to share? Max – Tokyo tops the list. Of all the places I’ve visited, Japan is the one that is more unlike home than any other. When you arrive at Narita for the first time, it’s like stepping off onto another planet. There is no English to guide you. The visual cues are all different. You can’t tell what the signs mean. Cultural behaviour is completely different. I think that’s pretty fascinating and when you immerse yourself in that kind of environment you learn some significant things about yourself and mankind in general. Rob – All these tough questions…favourite city is probably where the people I care about the most are at the same time. Other than that, I love Paris, London, New York and Ottawa … oh! and Edinburgh, all very romantic cities to me. David – London was amazing. If anyone has a chance, you need to be in London for Trooping of the Colour. Great Britain does Pomp and Circumstance like no other country. To have seen Her Majesty the Queen Ride within 10 meters of me was amazing! My tip: have Breakfast or Dinner anywhere, but Lunch a different Pub everyday. You won’t regret it! Max – I don’t know if this is an airport issue or an airline issue, but I want to see baggage retrieval times driven down to the point where it’s almost instantaneous. I want the checked bag process to be so efficient that I hand over my entire luggage upon arrival and don’t see any of it until I walk off the plane at my destination. But I want it to be they’re waiting for me so I can continue right away without any delay. Rob – This one’s easy, power plugs. There’s almost no airport around that seems to have more than a few near the gates. That means 50 people are all fighting for two or three plugs to charge things before we get on the airplane. It can’t really be this hard. David – I know the gang at NYC Aviation would appreciate this. Airports should recognise the importance of the spotting community. Airports are economic powerhouses but they often do a very poor job communicating that. You guys run successful businesses and have had successful careers, but what advise would you give to all those who might not be financially sound, an average Joe, but who still wants to travel the world? Max – First, have a formal plan for saving money to fund your travel. Examine where your money goes now and prioritize your life. Then, you should study the people who are good at traveling inexpensively: how to find deals for transportation and deals for food and accommodation at the destination. Rob – I think I’d tell you that cheaper is not always the best airfare to choose. American for instance will let me fly to Las Vegas for free, but they route me to Seattle where I’d sit for 5 hours before boarding to fly back east to Las Vegas. That’s crazy. Time is worth quite a bit, I think. David – I am the average Joe. I have a 9 to 5 job that has nothing to do with my passion. That being said, now that I interact with those have the same passions as me, I get opportunities that 5 years ago I never would have thought possible! Do what you love and you’ll find out good things will eventually happen! Is there any website, guide book etc. you consult before and while your traveling? What’s your research for a country/city like? Max – It’s selfish and irresponsible to just drop into a place with no understanding of the local culture, custom, and language. And if you are there on business, it’s just plain stupid to arrive with no understanding of the business culture. (It amazes me how many people do that.) If you can’t at least say “thank you” in the local language, you are just another ugly tourist. There is a series of country-specific books called “Culture Shock!” that I find very valuable for both social culture and business culture. I think they were actually written with expats in mind and are a great source of learning before arriving. Highly recommended. Rob – I’d probably start with a Google search of a new city or country just to see what pops up. I’m a news junkie so what’s going on in a country is as important to me as the places I might see or stay. David – Google and a good bookstore. Any travel is an excuse to do research. Research is fun and read everything! What role do you think social media/twitter has played in propagating aviation geekiness? Max – Social media has changed the world because it has dramatically increased the communication (both accurate and otherwise) between people with shared interests. It’s so much easier to find information and opinion now, but the challenge is to separate the two. And finally, as this is GlobeTrotters on “Twitter”, your 3 favourite twitter user accounts? Max – I can honestly say I don’t have favorite Twitter accounts. It’s all become so much of a “fire hose” of information for me. Rob – What is Twitter? OK, just kidding. Favourite three Twitter accounts eh? Sorry but I don’t think I can pin it down to three. @DMVanderhoof, Why wouldn’t your own twitter account be in your top three?